While on vacation, I did a little shopping and scored some really cute items from the outlets for amazing prices. 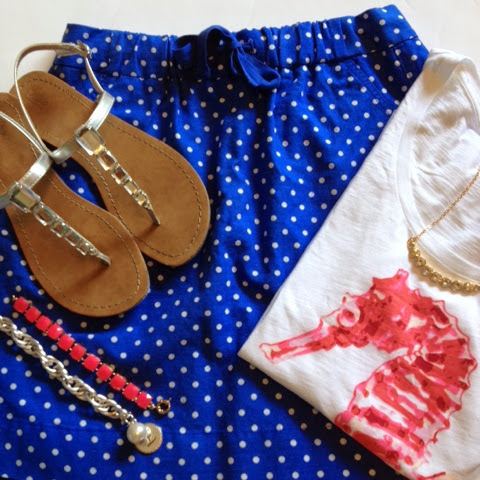 This skirt and this top were two of my finds. 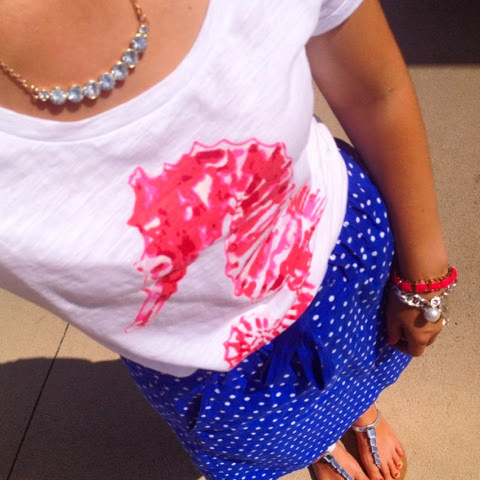 I've always loved polka dots and seahorses are becoming a favorite of mine too. I'm so jealous that I never made it to the outlets! What a cute outfit you got!